Bishop Rennis Ponniah praying with attendees at PraySingapore. All photos by Marcus Chow, Thir.st. 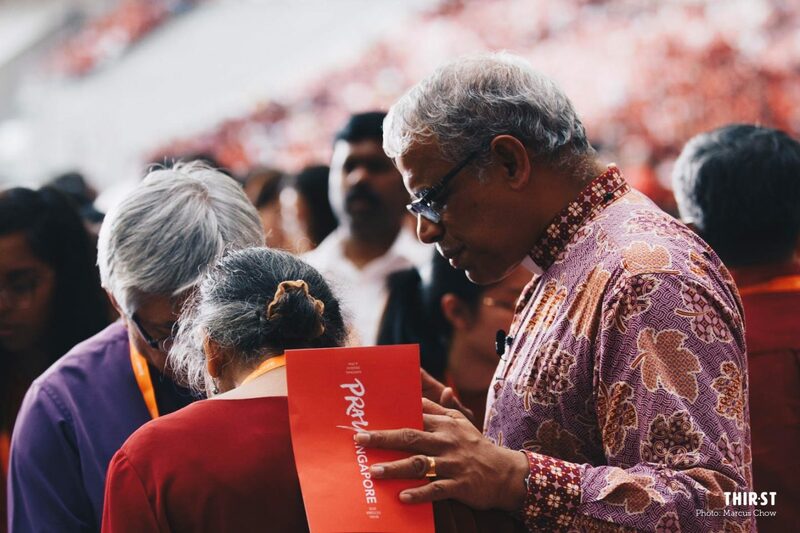 At this year’s PraySingapore celebration on October 7, Bishop Rennis Ponniah – head of the Anglican Church in Singapore – called on Christians to pray for opportunities to proclaim the good news to their friends and family in order to transform their homeland. 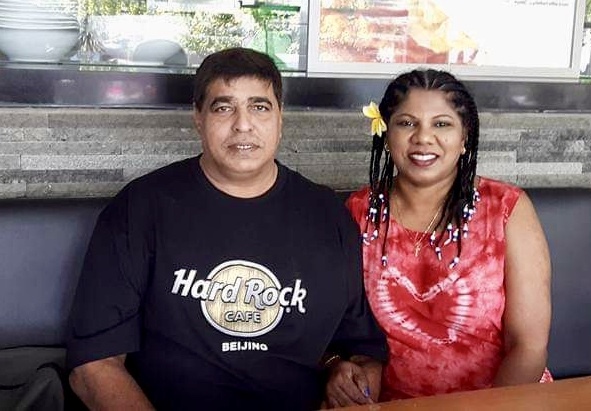 Bishop Ponniah said that he, along with other pastors in Singapore, believe that God is orchestrating a season in which “many people are going to find their way back to God through Jesus Christ”. Bishop Rennis Ponniah speaking at PraySingapore, October 7, 2018 at the National Stadium. 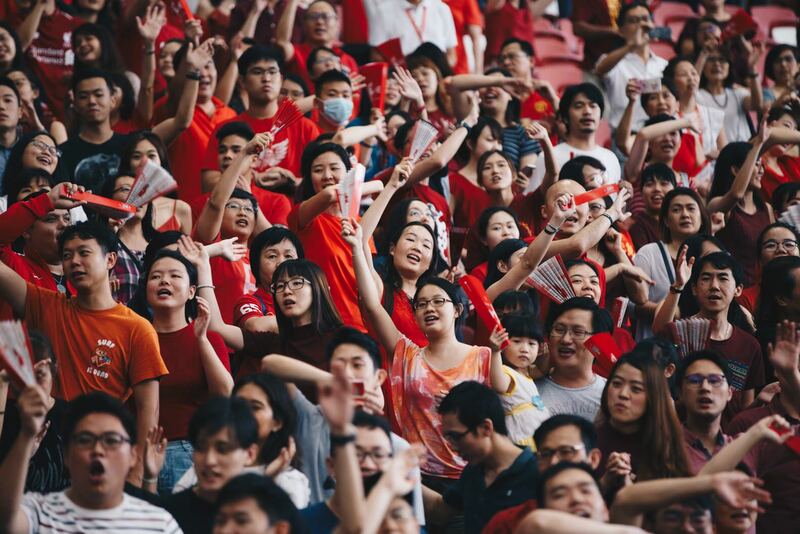 To galvanise Christians in Singapore to share the Gospel, several churches and Christian organisations have come together to organise the Celebration of Hope, a three-day mass evangelistic event to be held at the Singapore Sports Hub in May 2019. “We’re praying that every Christian in every church will arise and share the good news of Jesus, personally, with relatives, friends and acquaintances, so that they may know Him in whom alone is life,” he said. 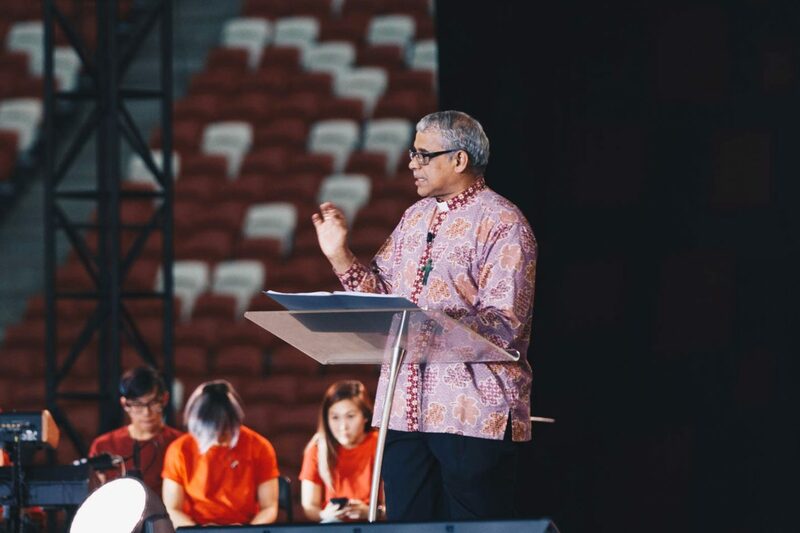 However, believers should not just view the event as merely just another evangelistic rally, but a “vital step in God’s process of revival” in Singapore, Bishop Ponniah said. “People of God, we need revival. We need revival because the ground is hard, dark and opposing forces are many. And most important of all, the glory of God is at stake,” he said. 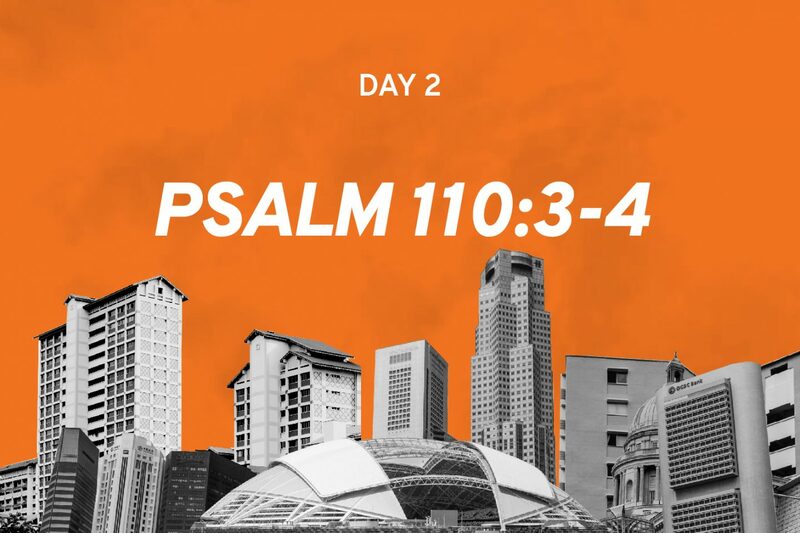 A key reason why the Church in Singapore needs to make evangelism a priority again is because of the lack of growth in the Christian population here, he said. In the decades before 2010, the number of Christians in Singapore grew by 2% to 4% every decade. However, in recent years, church growth has plateaued, with the Bishop noting that the number of Christians grew marginally from 18.3% of the population in 2010 to 18.8% in 2015. The lack of growth in our Church “injures the God who desires that none shall perish”. “Another reason we need a revival is there is a lack of righteousness in the land,” said the Bishop. Issues such as divorce, abortion, gender confusion, sexual brokenness, gambling and other vices permeate the culture, he said. But only God can change the conduct and ethical life of the people here and bring them to saving faith in Christ, Bishop Ponniah said. 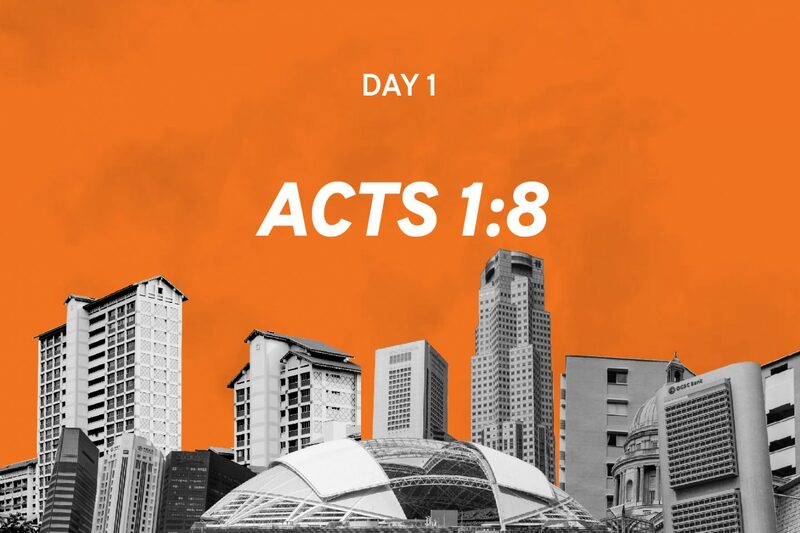 Christians in Singapore must acknowledge their brokenness and the fractures in the local body of Christ, and to pray for churches and organisation to work together “with one heart and mind for the harvest” and for God to lead them to spiritual victory. He also told the attendees to pray for “thousands upon thousands” of souls to be saved, that they will be ready to be discipled, and out of these new believers there would be a fresh batch of missionaries that would help the Church fulfil its Antioch call. Worshippers at PraySingapore, October 7, 2018 at the National Stadium. “The single most important factor for revival – God’s revival – is prayer,” said Bishop Ponniah. “Let it be believing prayer, in a mighty God, whose love knows no bounds. Let it be beseeching prayer – we beg God and we don’t let go until it happens.